They're so delicious you'll forget they're good for you. The Mediterranean diet has been around far longer than any other trendy eating plan. It’s based on traditional cooking of countries like Italy and Greece, and science has backed its health benefits time and time again. Based on fruits and veggies, fish, whole grains, and healthy fats, the Mediterranean diet could help you lose weight, improve heart health, benefit your brain, and even add years to your life. The best part: You don’t have to give up dessert. Thanks to dedicated foodies like the ones mentioned below, there are plenty of ways to have your favorite after-dinner treats while still staying on track. Below, seven of our favorite Mediterranean diet dessert recipes. The blogger behind The Mediterranean Dish grew up just blocks away from actual Mediterranean shores in Egypt, meaning her dishes are as authentic as they come. 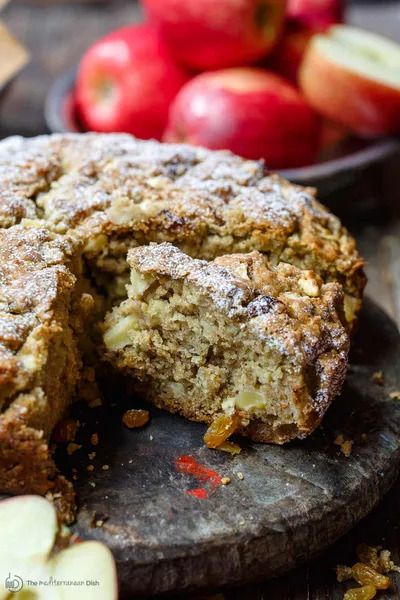 She says this simple, rustic olive oil cake is meant to be dense, moist, and subtly sweet. This mouthwatering recipe by Sally’s Baking Addiction calls for just four ingredients and can be made in only 30 minutes, making it the perfect last-minute treat. 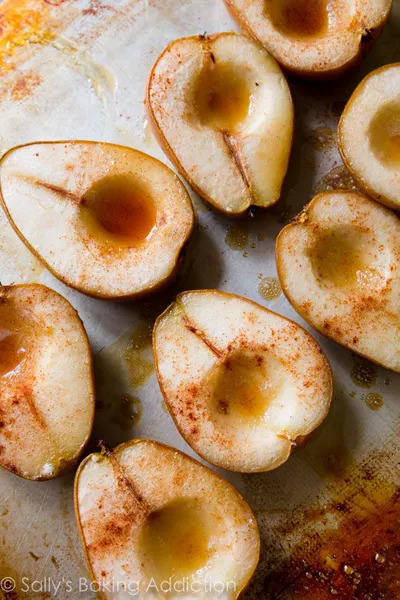 These pears are warm and soft, completely infused with maple and vanilla, and topped with crunchy granola. We're drooling just thinking about it. 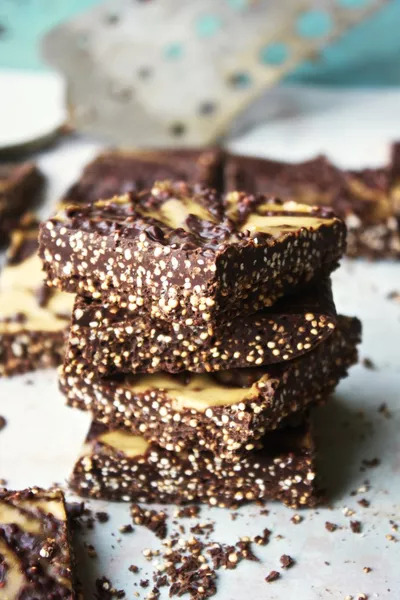 This healthy(ish) version of a crunchy chocolate bar by The Garlic Diaries is just the recipe you need if you’re new to baking. The directions are super easy to follow, and even if you deviate a bit, they’re guaranteed to still taste delicious. 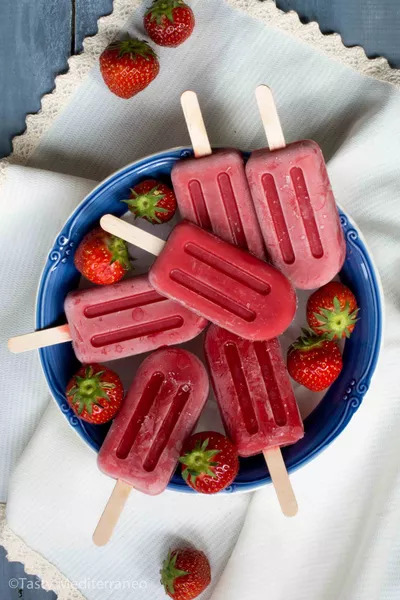 Ideal for the hot temperatures of Mediterranean summer, these popsicles by Tasty Mediterraneo are seriously refreshing. And believe it or not, they only call for two ingredients, making them the perfect dessert to suit your lazy summer vibes (or lazy winter vibes, let’s be honest). 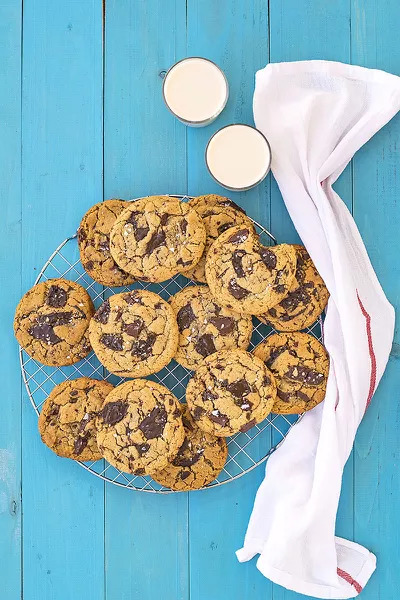 This one-bowl recipe for olive oil and tahini chocolate chunk cookies is a vegan Mediterranean dieter’s dream come true. The Hungry Bites says these cookies combine the flavors of America and the ingredients of the Mediterranean to create a dessert that's the best of both worlds. 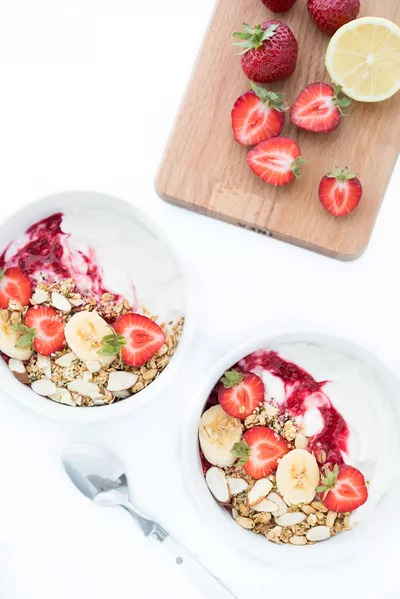 OK, you might think of Greek yogurt as a breakfast food—but with flavors as strong as these, there’s no reason you can’t have it for dessert too. This recipe by Free Your Fork calls for yogurt, fruit, granola, nuts, and honey to give you the creamy, sweet, and crunchy tastes you’ve been craving. 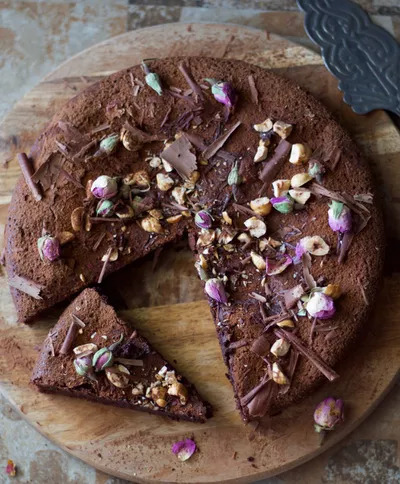 Just because you’re following a Mediterranean diet doesn’t mean you can’t indulge in something as rich and fudgy as this dessert by Hanady Kitchen. That’s right, this superstar blogger has found a way to let you have your cake and eat it too. Her secret: zero flour and lots of dark chocolate.